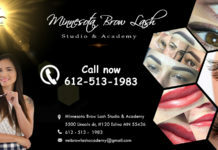 Minnesota Brow Lash Studio & Academy — For some cancer survivors whose bodies have changed through treatment, obtaining a sense of normalcy when they look in the mirror can make all the difference. 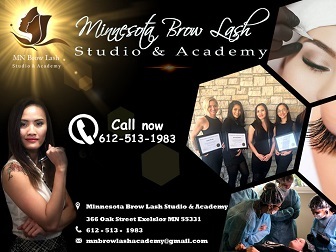 During October and November, Kay Nguyen, permanent makeup artist at the Minnesota Brow Lash Studio & Academy, 386 Oak Street Excelsior MN 55331., has said she will give free microblading and areola reconstruction to cancer survivors. The services normally cost $600-750 for microblading and $450 for areola reconstruction. The survivors who come in will have a consultation session, procedure and a four-to-seven-week touchup. 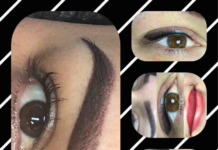 Nguyen said she observed many clients coming in for microblading had lost facial hair due to bodily changes out of their control like hormonal changes in pregnancy or puberty, autoimmune diseases or chemotherapy treatment. It’s normal, it’s human to have lost facial hair , Nguyen said. She delighted seeing clients’ joyful reactions for having eyebrows for the first time in years — in one instance three decades. Salon Manager Rachel Kroells said it didn’t surprise her that Nguyen would offer the service for free. Nguyen said she understands the feeling that some of the clients have after seeing their new eyebrows. She has Keloid skin disease, she said, a disease where scar tissues grow abnormally. Even at home, Nguyen naturally pulls out scrap pieces of paper to sketch eyebrows. Her eyes are drawn to notice and appreciate strangers’ brows when she goes out, she said. 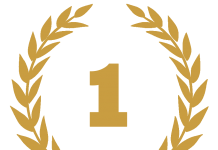 Microblading has surged in popularity in the United States over the past few years, though it’s been popular throughout Asia for nearing three decades. Other names include microstroking, hairstroking and feather tattooing. The look stays between one and two years, which is a good thing, Nguyen said. 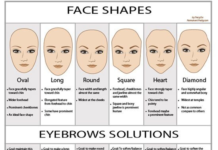 The “natural” look for a brow shape changes depending on fashion and age. Areola tattoos last a little longer, for five years. Nguyen performs it in a space that could pass as a check-up room at the doctor’s office. Cotton balls and popsicle sticks sit in glass jars on shelves and Nguyen sports a mask and scrubs. The process takes about two hours: It begins with Nguyen rubbing pencil on a string. 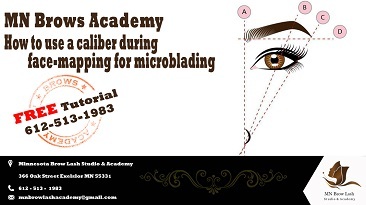 She measures out the proportions of the brow shape, pressing the string to leave straight lines. Points are marked with a surgical pen, before a numbing solution is applied. After, she draws the hairs with a small microblading knife, placing lines of pigment into the epidermis. It takes two to three passes of drawing fine hair lines before the excess pigment is wiped away to show the final result. Liker her tattoo, Nguyen said, it’s a detail that changes what some people see when they look in the mirror. 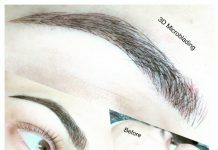 Next articlePermanent Make-up Eyebrows? Yes Please!